Could you imagine how a decorative item look like when it features sparkly changing colors lights on the tips of the pine needles? It is a brilliant piece when being placed on a table. 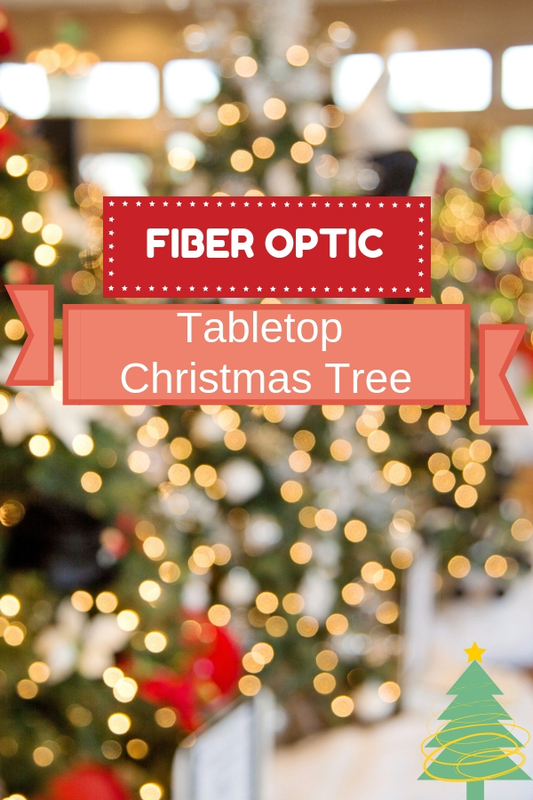 Yes, I am referring to the tabletop fiber optic Christmas tree. You’ll embrace holiday spirit instantly while you are listening to famous Xmas songs and looking at this miniature Christmas tree glowing in the branches. These beautiful pieces adorned with colorful miniature ornaments such as snowflakes, presents boxes or glitter balls. Most of them have star as topper. They illuminate with festive and bring joyous atmosphere when being placed on a desk next to a window or a side table next to a sofa. If you are sourcing one to place at entryway table as centerpiece for welcome your guests, let’s consider those with rotation base. It brings vivid holiday fun to your home especially the last option which comes with Xmas train moving around at its base.